I saved my brother’s life when he was 10 years old. I was 13. He was playing with a lighter and aerosol spray when fire erupted. He attempted to stamp out the flames and his pants caught on fire. We were home alone and I instinctively put out the fire with my bare hands. Instead of the unthinkable, we both suffered burns. His were more serious, with third degree burns on his legs that required skin grafts and a lengthy hospital stay. I had second and third degree burns on my palms. My dad the doctor was very proud, and thankful. My career as a healer was short lived. 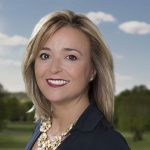 I switched from pre-med to journalism in college and enjoyed a successful career in television news for more than 10 years, where my interest in healthcare sparked a lifelong passion. In 2006, my son was diagnosed with hypophosphatasia (HPP), a rare bone disease I knew nothing about. I immediately shifted into reporter mode and grabbed hold of all the information I could get my hands on. But it wasn’t enough. In 2009, I founded Soft Bones, Inc., a foundation that promotes research of HPP through awareness and fundraising. Earlier, in 2008, I co-founded Green Room Communications, a healthcare public relations agency that breaks the traditional PR agency mold. We create nimble, tailored teams that maximize results while saving clients time and money. As I head to the BIO meeting next week – the largest, most influential biotech convention in the world, I will wear three hats: patient advocate, reporter and PR expert. 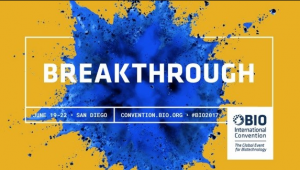 What they have in common is also BIO’s theme this year – breaking through. I am all about breaking through — either by making noise on behalf of a previously silent patient/caregiver community, or discovering and sharing stories from my healthcare clients – about the latest research, new treatments and, most importantly, hope for so many diseases. For me, BIO is the perfect blend of information gathering, sharing and partnering in an industry I love. Here’s to a stimulating and breakthrough BIO2017!